The Macedonian colony in St Petersburg’s proclaimation 1915! 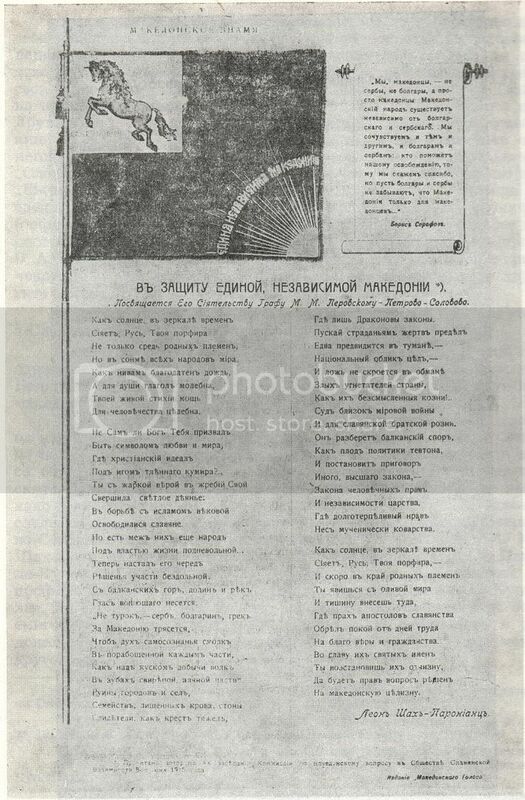 This is the last known publication of editorial staff of “Makedonski Golos” with the complete proclaimation of 8th June 1915. Notice the flag with Bukefal on it and please do also notice the text writen above it, THE MACEDONIAN FLAG and also written on it, ONE INDEPENDENT MACEDONIA.